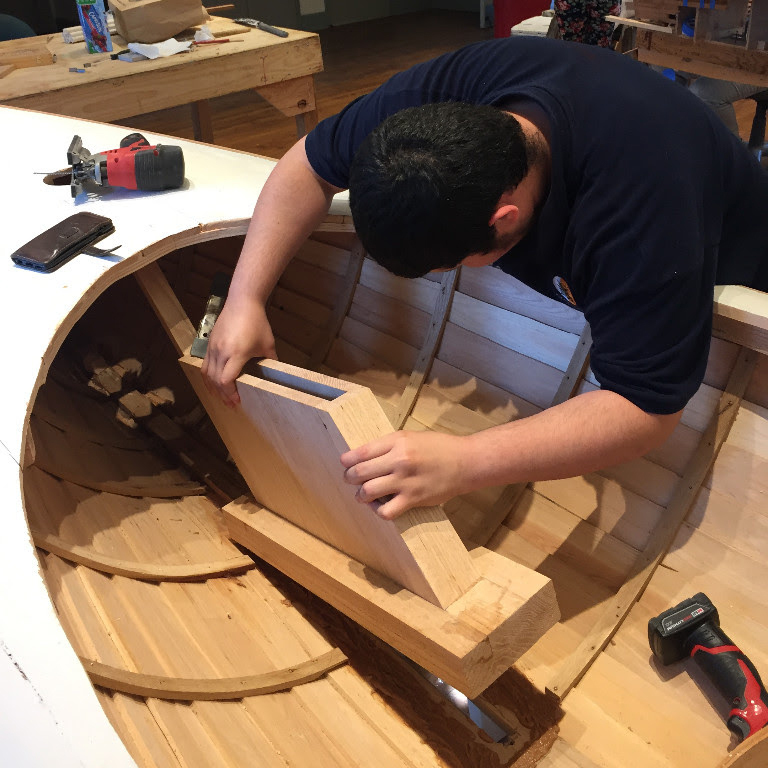 Urban BoatWorks: What A Week!! It all started last weekend with a well-attended bike fundraiser that our office runs: Pedal For Promise. Thank you to everyone who participated and gave; the students, school and staff appreciate your support. Then, on Monday, we were able to put our Dragon Boat at the county boat house, so that on Wednesday we could have our first practice in our boat. 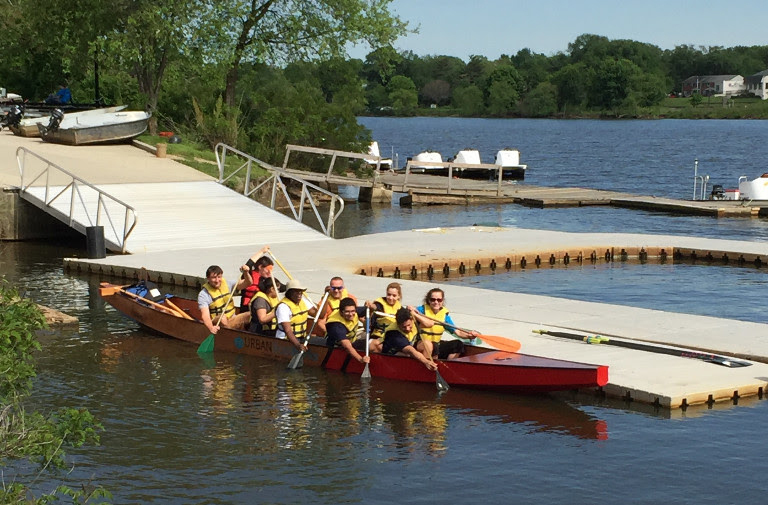 This beautiful Dragon Boat built by the students of UrbanPromise Academy performed very well on the water; practice was fantastic!! 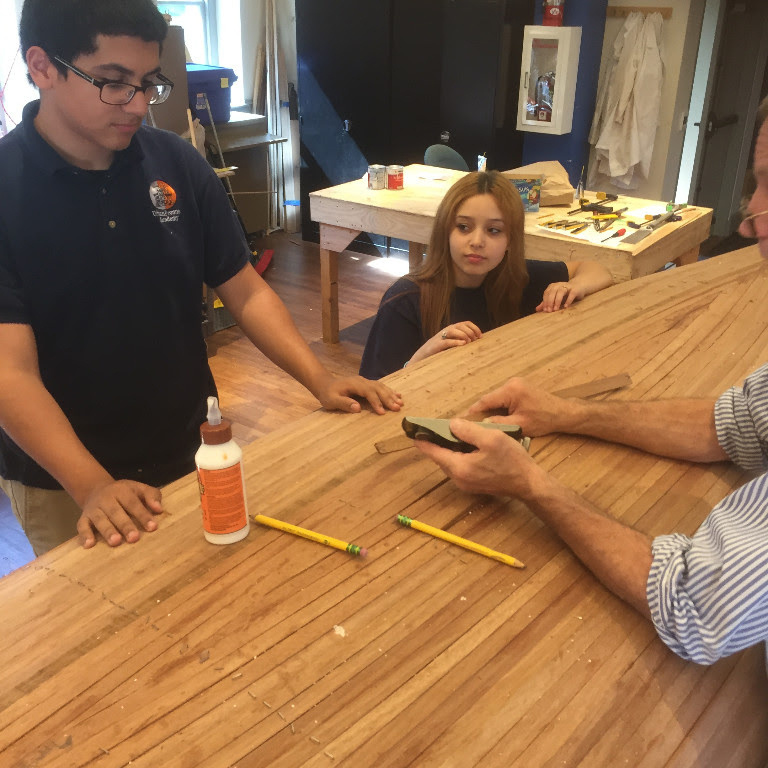 And on Thursday in the boat shop, one student was filling in the last piece on the Mahogany Abenaki Canoe, while another student was cutting a hole in the bottom of the Delaware Ducker (check out pictures below). All of this captures one of the really cool things we get to participate in often each day: that moment when clarity comes, or when what you have worked on so hard comes to life and works well. The dragon boat project has been going on for 2 years. 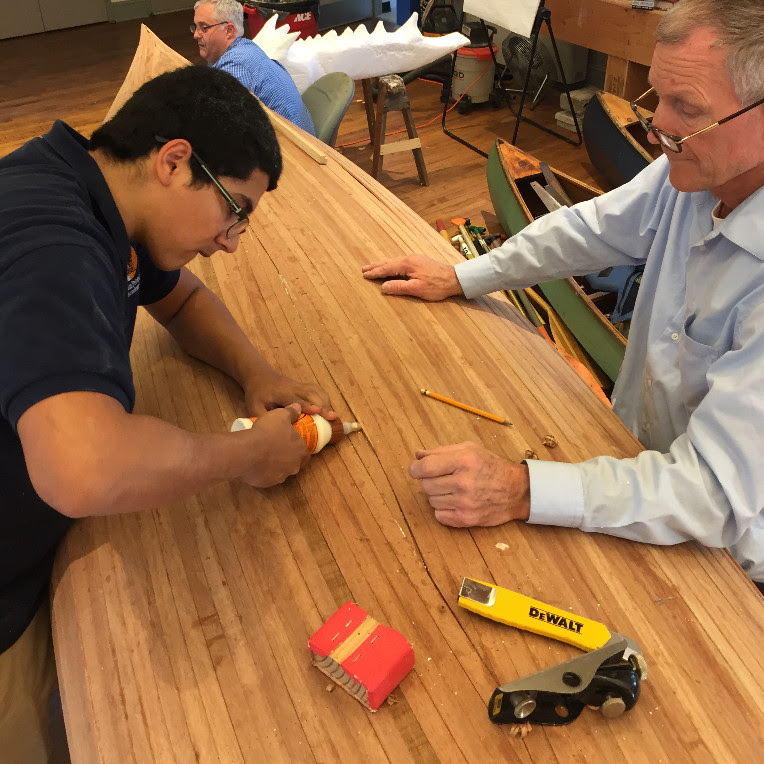 Each Wednesday, the freshmen of last year and this year would come to the boat shop to move this boat closer to completion. Our practice Wednesday was a beautiful accomplishment for the students because their hard work paid off! This is true for the Abenaki as well. We have been working on the Mahogany the whole year. This week Thursday, the final piece went in. Its huge: starting with a plank of Mahogany, cutting it down, getting those pieces just right, bending the pieces around our forms to make the canoe shape, and then placing the final piece. The Delaware Ducker is a little different, but we started yesterday talking about cutting a whole into the bottom of our boat. To me and the students this does not seem wise. However, we did it and the dagger-board slides through its box very well--sometimes we just need to trust! "I've never been so frightened," confessed 25-year-old Kyrus. "My tent collapsed, my supplies were saturated, tree trunks were snapping all around me...I was in the middle of a microburst—a mini hurricane. It was crazy. I spent the night in the outhouse!" Kyrus was describing his 24-hour solo experience on the annual Rites of Passage trip to the Adirondacks. As a senior at our UrbanPromise Academy 7 years ago, Kyrus experienced the elements of nature, did some soul searching, and learned a little about becoming an adult. "In life things come at you out of nowhere," he confided recently. "You may not be prepared, so you have to stay strong and positive and learn to stand on your own two feet." Modeled after ancient tribal customs, the Rites of Passage trip helps our high school students transition to their next stage in life. Ancient cultures had traditions and rituals to help their young move into adulthood; in modern Western culture, many of these practices have been lost. "Not every student experiences a microburst," chuckles Jim Cummings, Founder and Director of our experiential learning program. "Rites of Passage is about overcoming adversity. We help our students make an intentional break from adolescence." Kyrus needed to become an adult quickly. With graduation just around the corner, a baby on the way, and no solid employment options in place, Kyrus needed to get serious about life. Instead of running from responsibility, he got married, found a job, and started raising a family. 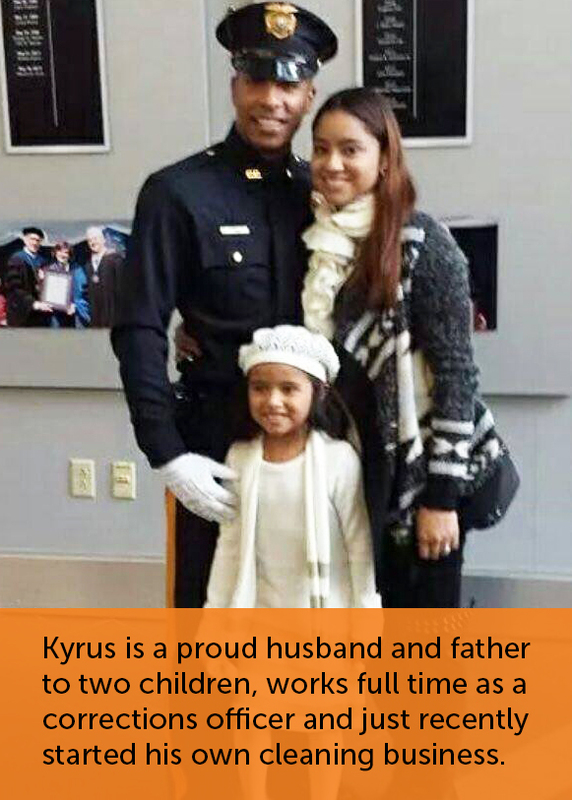 Seven years later, Kyrus has two beautiful children, is happily married, and works as a corrections officer. "Without a doubt the Rites of Passage trip was a turning point for me," he reflects. "It helped me get serious about my life." Tomorrow, Jim Cummings will again take 12 of our high school seniors to the Adirondacks for 6 days. They will hike, canoe, keep journals, fight off the black flies, set goals, and spend 24 hours alone in the wilderness, reflecting on the next stage of their lives. It will be the ultimate final exam before they graduate. What does it cost to send a teen on this life-transforming trip? Food, transportation, and gear for each senior will cost $70 a day, or $210 for 3 days, or $420 for the week. Or perhaps you'd be willing to underwrite the entire trip for all 12 seniors for $5,000. Building responsible young adults with character, values, and persistence is priceless to the future of our society. I hope I can count on your help for this amazing opportunity.